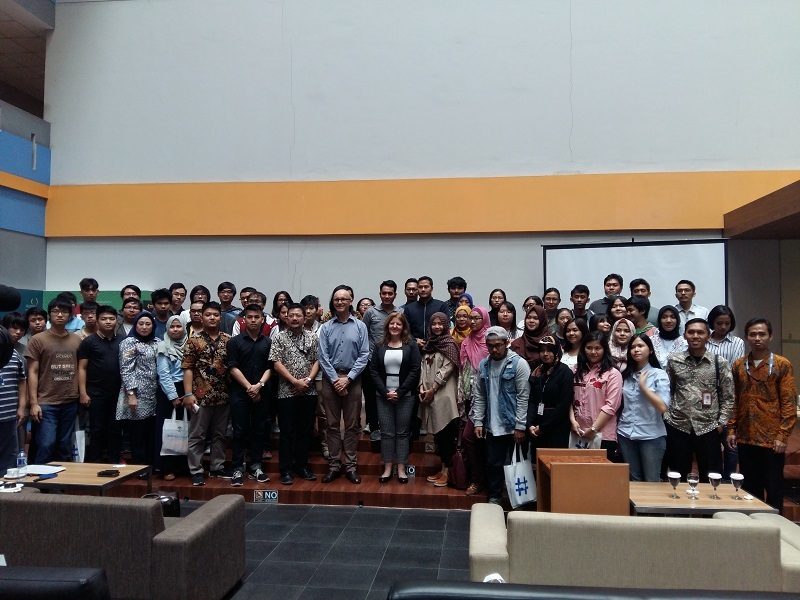 On 27th May 2017, BINUS UNIVERSITY was set to host a special Guest Lecture event which featured Dr. Ralf Muhlberger and Ms Wendy Perry as alumni from Queensland University of Technology (QUT). The lecture session covered the topics “Strategy, Tactics, and Complexity – Decision Making for Long-term Success of your Start-up”, and “Bootstrap to Boom”. Both topics delivered comprehensive advice and strategies to manage a successful start-up company. The Ambassador of Australia to Indonesia H.E. Paul Grigson was also presented at the event. Furthermore, the lectures also cover areas such as digital innovation, marketing and communications, in addition to financing among others. With small and medium enterprises (SMEs) being the backbone of Indonesia’s economy, rapid technological development and regional integration are the new challenges SMEs must overcome in order to stay competitive. Moreover, with the implementation of the ASEAN Economic Community in 2016, Indonesia will be a major target market from all sectors across ASEAN. As such, through BINUS UNIVERSITY’s guest lecture, participants are expected to receive the relevant know-how to build a solid business plan to successfully compete amongst local and regional counterparts.